We’ve kept an eye (or two) on the Disney Channel scheduling calendar and release information, but it appears other outlets may have already received the information. At least that’s our assumption. The Highlights list all of the episode premieres for the month, and it is typically released around the 20th of each month. Several people on Twitter and Discord began talking about episode titles and release dates yesterday and we thought we share the news. I would like to preface that although this I for like genuine and most likely came from the May Highlights there is no way for us to confirm that it is anymore than rumor (although we believe it to be true). We first heard of these titles and premier dates from Twitter user @Kahuna_Potato over in our Discord chat. It was late last night before I could take a good look at the info. She read the information from a cable tv forum who we believe must have received the Highlights. Let’s dive into the info! We have long anticipated that the character we saw way back at 2018 SDCC would be Dijon. A character that you may be familiar with from the DuckTales movie. We saw an image in a recent promo that includes the character leading our adventurous ducks, and this episode title really has us thinking it could be Dijon. If the rumors are true we wouldn’t have to wait very long for our next episode because it would air at 3:00 pm on Thursday. The title gives us the least amount of info and our Discord has been discussing what each episode might include. My initial guess is that this episode may be the one where our ducks go back in time. Obviously, the 87 could reference the original DuckTales series, but maybe they go back to 1887!? Or maybe it’s just a fun adventure where we haven’t seen anything yet, or we have and just don’t know the connection. 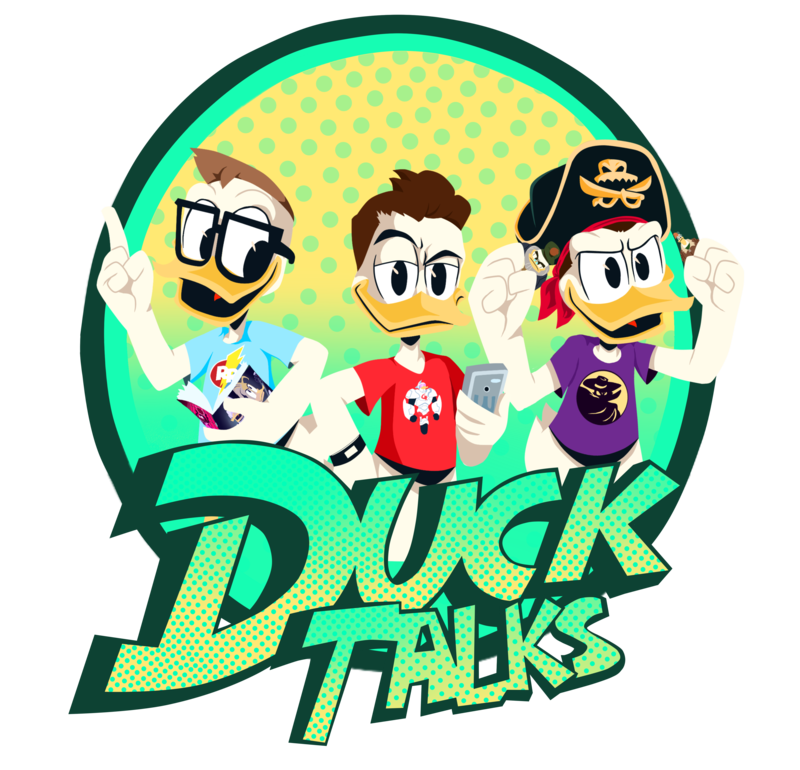 We had DuckTales on Tuesday and Thursday, but what about Wednesday? Don’t worry, they have you covered the following week. This episode we anticipated the show returning with because the title was leaked early from Youtube. You can read our thoughts at this blog. DuckTales New Episode Title Revealed?! Oh boy, oh boy! A Gizmoduck episode! Gandra Dee was Fenton Crackshell’s girlfriend in the original DuckTales. Fenton’s relationship with Gandra lead to many crazy situations, and we can’t wait for a Gizmoduck centric episode.